Experiencing the North Coast by SUPing is hard to be described in words. Cabarete and areas around have much to offer for this activity. 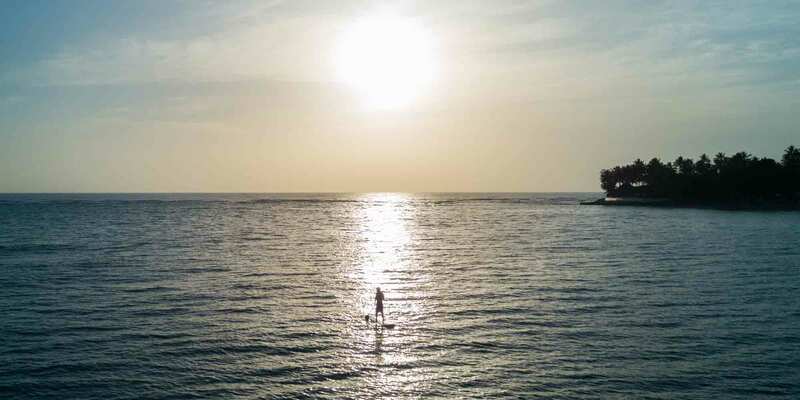 You can SUP through the river, in the lagoons, across the flat morning ocean or challenge yourself by surfing long waves, yoga or doing long distance paddling. The nature, coast line and waves are simply ideal. Most families, couples and independent travelers love this activity as it is easy to learn and enjoyable to do. Located directly on the beach in Cabarete Bay at the Water Sports Center we have various stand-up paddle boards for all levels and activities. We have boards perfect for cruising as well boards ready to ride the waves out at the reef. This activity is best to do when there's little to no wind. Stand-Up Paddle Boarding can generally be done every single morning and depending if wind season or not; throughout the entire day in Cabarete. The reason you want to avoid the wind is so that the water is flat. **Special Recommendation: If you want to experience one of the most beautiful sunrises ever - consider doing a sunrise session with us where we paddle out 20 minutes before sunrise to experience one of the most beautiful natural spectacles in Cabarete, Dominican Republic!